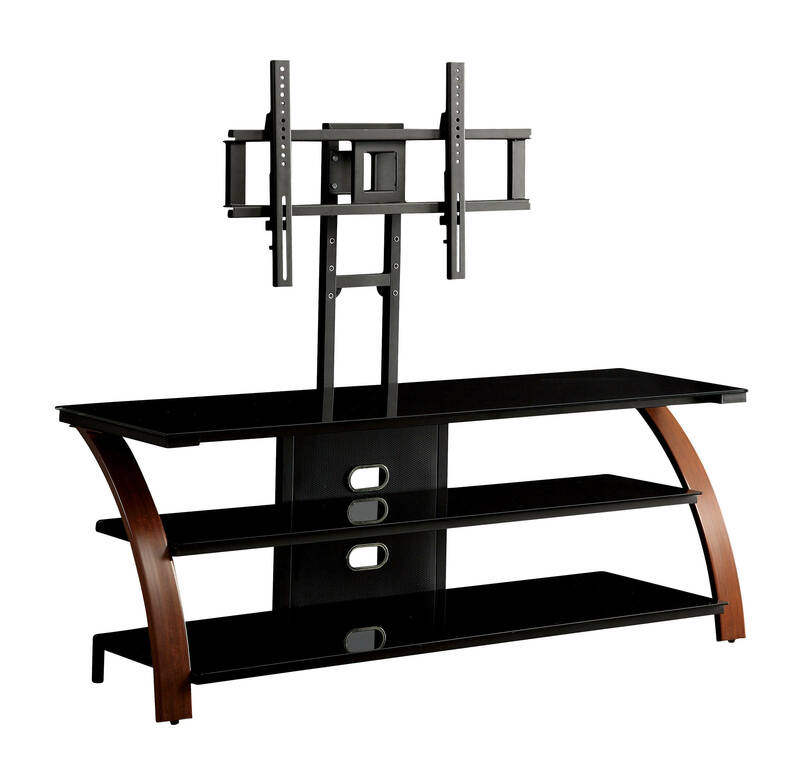 Set your flat screen up on the mounting bracket to free up space for media devices and decorations atop this contemporary console. The black tempered glass shelves offer ample room while casting a glossy reflection of your living room. Bent wood legs on either side add a unique mixed-materials appeal and enhance the modern vibe of the piece.